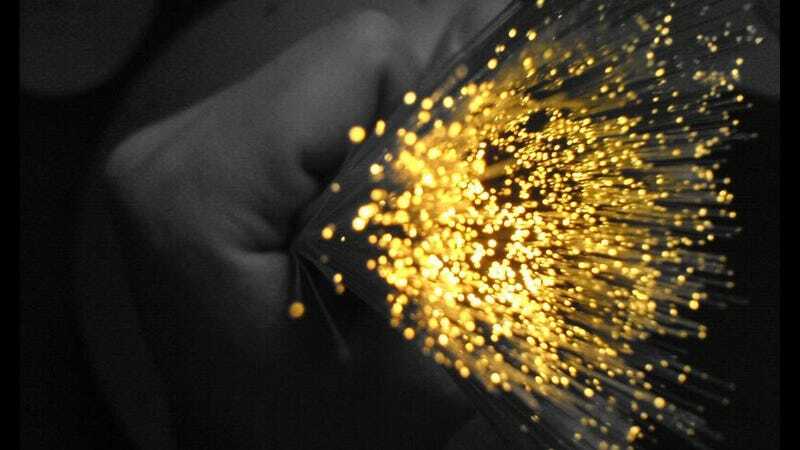 Fiber optics are the future of data transfer. But in Germany, the future's already here: Deutsche Telekom has a working 512Gbps optical fiber that's working in the real world. I want it. Yes, that's a single optical fiber. It's capable of hitting transmission speeds of 512Gbps in test conditions, but real life takes that down to a usable limit of 400Gbps. No matter: when a single strand of optical fiber can stream what is the same as 77 350,000 CDs of music being played at the same time, I won't quibble over that difference.